Is Unfriending the Christian thing to do? And yet, many of us complain about the content that gets shared on our social media timelines. We have all followed or friended that third cousin, twice-removed who posts the most annoying content just to get a rise out of us. Or worse yet, he/she actually believes that nonsense. As social media evolves and changes, figuring out what to do about people we don’t actually want to hear from has created a new buzz activity in 2015. Last week, I heard an interesting interview on CBC Radio’s “The Current,” which made me think of my social media experience. The interview was about the Unfriending Movement in Germany. In our social media world, unfriending/unfollowing has new meaning. It used to be that ending a relationship meant “breaking up”, or just ceasing to spend time and energy on people who drained, annoyed, angered, or frustrated you. Now we can just click that button to unfriend or unfollow. Jimmy Kimmel has even made a video giving us the rules for how to unfriend. And sure, social media is full of people who post too much, post too inanely, post pictures of food too often, post too many selfies, live tweet things we don’t care about or post cryptic statuses inviting “concerned” friends to beg to know what is going on. But the heart of the unfriend movement in Germany is about unfriending those who have a particular type of political view, particularly those who oppose the presence of Islamic immigrants in their country. And that has made me think. Is it a good idea to unfriend people who have different opinions and views than we do? Social media is a place to interact with friends, both IRL ones and online ones. It is a place to see that cute kitten video that has gone viral today, or find out trending pop-culture news. It is increasingly becoming a place to share and read articles, blog posts, watch videos and obtain information. I was glued to Twitter during the shooting in Ottawa a few months ago… and I confess I muted the World Cup hashtag from earlier in 2014. In the early internet, primitive social media, like chat rooms and message boards, use to be places to find in niche groups of like-minded, like-interested people. But as social media use becomes more ubiquitous, and it is the norm for people to be present on social media, it is now about connecting to diverse groups that cut across socio-economic and geographical/national boundaries. Unfriending those with whom we disagree means we limit our exposure to different ideas and opinions. And yes, sometimes muting, blocking, unfollowing or unfriending that person who posts a lot of offensive content is necessary. It isn’t worth seeing their content clog up your feeds. Yet, I think there is a caution in being too zealous about unfriending those who have different politics, faith practices/beliefs, or opinions than we do. Do we really want to create social media worlds where we only interact with like minded people? Do we only want to hear others share content, ideas and opinions that confirm what we already think? Unfriending may be the new buzz activity of 2015, and it may even become an effective social change movement. But our In-Real-Life worlds are not limited to only those who think and act the same as we do. Limiting our social media worlds (which are becoming more and more important social circles) to only like minded folk will limit our exposure to a diversity of ideas and opinions. As a christian and a pastor, my thinking about the world and my understanding of my ecclesiological neighbours, my cultural and international neighbours has increased dramatically because of social media. It used to be that I only talked to Americans or other world citizens when I was travelling. It used to be that I only interacted with clergy from other faith traditions once a month, at best. It used to be that I lived in a pretty white, Canadian, Lutheran world. Now I read, talk and interact with people from all over the world and from all over the map of Christianity everyday. As our social media behaviour becomes more and more integrated with everyday life, the temptation to mute, unfriend or block-out the diversity of the world might be high. We all have limited energy to spend these days. Yet, I seem to recall a guy we like to talk about in church, who often broke down barriers and took the time to seek out those who were different than he was. Those with whom he disagreed, those whom practised different religions, those who took time and energy to deal with. Does it mean that Jesus took the abuse and never called anyone out? 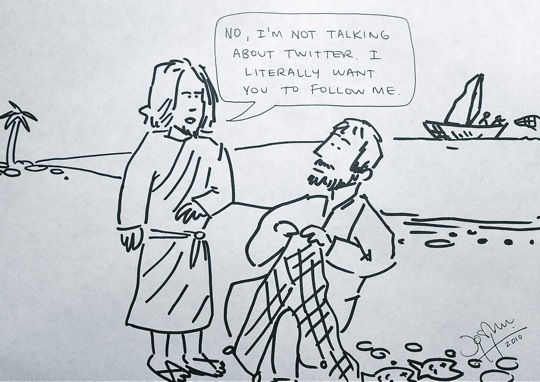 Hardly, in fact Jesus fed the trolls on more than one occasion in order to make a point. But he knew where his limits where. So in 2015, think twice about unfriending those who disagree with you… and then when you are quite sure you don’t need that drama in your life – click away! But don’t unfriend just because people think differently than you do. Previous Post‘Course Jesus isn’t safe. But he’s good.Next PostWhat have you to do with us Jesus? I agree completely. As an immigrant to the U.S., I used to hold very limited views on a lot of things. Being exposed to different cultures, sexual orientations, socio economic statuses, people of all professions, blue collar and white collar, I am now a much better person and have a lot more compassion. I would encourage people to break out of their comfort zones. No one can ‘corrupt you’. You go out there and decide what you accept, what you assimilate, and what you respectfully tolerate. I don’t mind having to unfriend people, because there is no shortage of people who hold opinions different from mine where I live. But I won’t unfriend them unless they have really and truly offended me, or are misusing the connection with my information. Usually, I just hide all of their posts and don’t worry about it later. 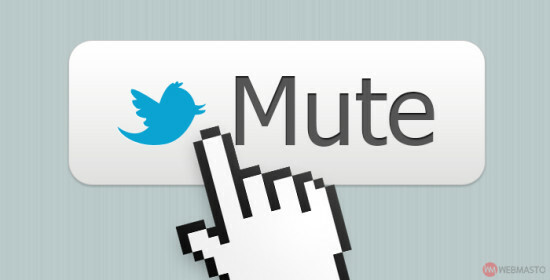 I do a lot of muting and unfollowing… Mostly to keep my feeds readable. But I know what you mean. Some people just need not to appear in your feed.